As early as the first century BC, a Buddhist community existed at the court of one of the Han provinces. In 68 AD, Han Emperor Mingdi had puzzling dream about a golden figure. The morning after, he told his ministers of the dream and asked what it ment, and they suggested that he had seen a vision of Buddha – God of the West. The emperor got curious to know more and dispatched an official named Cai Yin to Central Asia to learn about Buddhism. After three years, Yin returned, bringing back not just information about Buddhism but also two Buddhist monks named She-mo-teng and Chu-fa-lan that were willing to teach Buddhism in China. Yin also presented images of Buddha and Buddhist scriptures to the emperor. The first Buddhist temple in China, a temple known as the White Horse Temple, was built in the first century AD in Luoyang, which was the capital of the Eastern Han Dynasty and a focal point of China. The temple still exists, although it has undergone many changes throughout the centuries and most of the structures that now exist are from the 1500s. For a long time, Luoyang was seen as the eastern starting point for the Silk Road. Luoyang became an important center for dispersing Buddhism to other parts of China, and it held a rich assortment of Buddhist books, texts and art. In 148 AD, the Parthian missionary An Shih-kao arrived to Luoyang and started working on translating Buddhist texts to Chinese. After him, others took over, and the practise of translating Buddhist texts into Chinese continued here until the 8th century when China’s land connection to Buddhists in Central Asia and Inda was cut off by the Arabs. 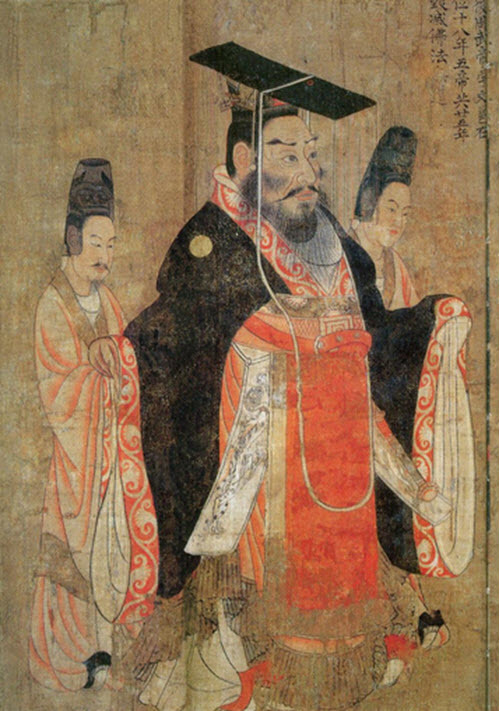 In 166AD, the Han Emperor Huan had both Buddhist and Taoist ceremonies carried out in the imperial palace. Here are some examples of notable Buddhists who worked in China translating Buddhist texts into Chinese during the second, third and early fourth century AD. An Shih-kao Parthian Early Buddhist missionary to China. Alledgedy a prince of Parthia that renounced his claim to the throne to be a monk. An Hsuan Parthian Originally a Parthian merchant; became a Buddhist monk in China 181 AD. Born in Gandhara when it was a center of Greco-Buddhist art. Translated a number of Mahayāna Buddhist texts into Chinese. 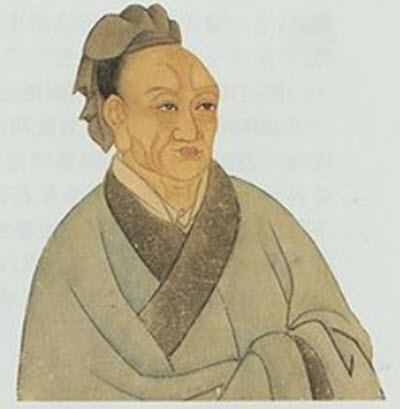 Chih Ch’ien Yueh-chih His grandfather imigrated to China in the 2nd century AD. Chih Yueh Yueh-chih Worked i Nanjing. K’ang Seng-hui Sogdia Born in Chiao-chich. His faterh was a Sogdian merchant. Dharmaraksa Yueh-chih His family had imigrated to Dunhuang generations ago. During the 4th century AD, the Central Asian Buddhist Kumarajiva set ut a translation bureau that became very productive, translating approximately a hundred Buddhist works from various languages into Chinese. 52 of them have survived into our time and are included in the Buddhist canon. Data from around 514 (which is before the start of the Sui dynasty in 581) show that at that point, there were roughly 2 million Buddhists living in China. During the Sui dynasty (581-618) and Tang dynasty (618-907), Buddhism was widespread in China and the religion and its ceremonies had trickled down from the courts and learned centers to ordinary folks in various parts of the country. A lot of Buddhist monasteries had been established and marvelous temples had been erected. Numerous Buddhist pilgrims and missionaries came to China from other parts of Asia, and China also sent pilgrims to India along the Silk Road. Some of the more notable among the Chinese pilgrims were Xuan-Zang and I-Tsing; both active during the 7th century. A notable setback for Buddhism in China took place in 845, when Chinese Buddhists were subjected to widespread presecution, with over 260,000 monks and nuns being defrocked and an estimated 4600 temples destroyed. Buddhism, in its Chinese form, spread first to Korea and then into Japan during towards the end of the 700s.